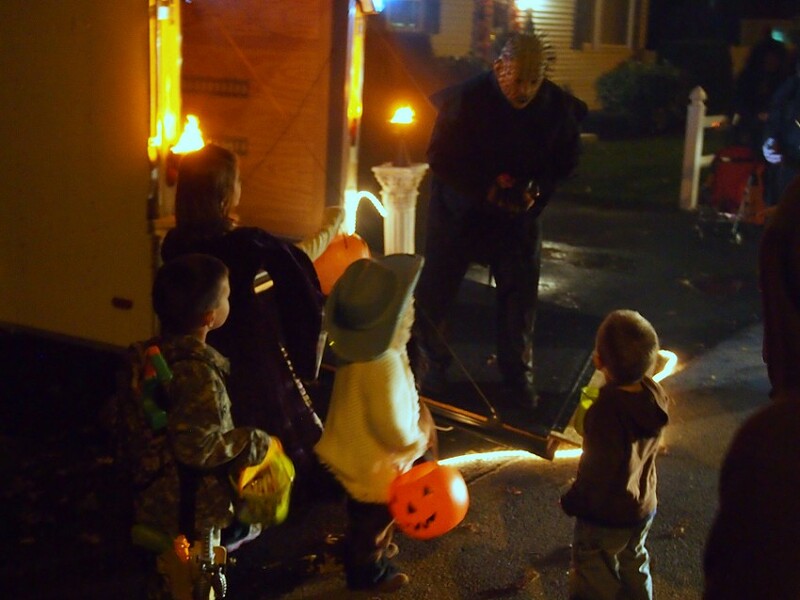 September 22 , 2013 — Last year, I went trick-or-treating for the first time in more than three decades. If you know both my age and basic math, then you know that statement doesn’t quite add up, that it means I spent my best trick-or-treating years not doing so. But this isn’t the story of me. It’s the story of my child. Or, how awkward a father I am. It’s a story I didn’t tell last year because by the time the night was over, it was November 1st. Halloween is dead to me come November 1. Halloween has to die. That's what it's all about. Let’s go back a little bit. Halloween night has never been the highlight of my season. It hasn’t even been the point. To me, it’s the denouement. It’s that part of the movie where all the action’s over, the world is saved, and everybody’s just kind of hanging around reflecting on everything that went down or rationalizing loose ends or segueing into a sequel that hasn’t been written yet. 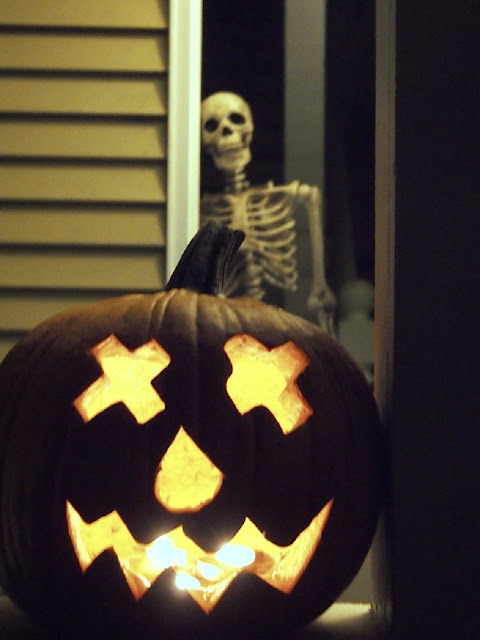 The past few years I’ve wound down the Halloween season by throwing on a Halloween special, handing out candy to trick-or-treaters, and then waiting for friends to come over to drink hard cider and hang after taking their kids out on the candy warpath. 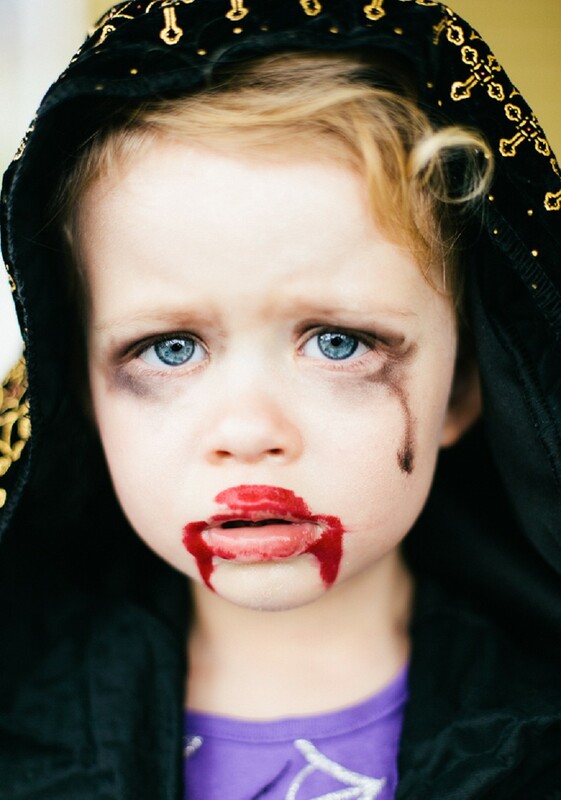 But last year my daughter, at almost three years old, was trick-or-treat-eligible, so I had to jump into the fray…a fray I love, mind you, but mostly as a concept and from the safety of the inside of a screen door. Taking her out terrified me. For completely misprioritized reasons. It wasn’t the possibility of poisoned candy or letting my toddler toddle about in the middle of a road at night. It wasn’t even the whole “I can’t believe how fast she’s grown up” bit. No, it was sheer (and I hate to use the same word twice in a post, but it’s just too damned accurate) awkwardness. You see, I was pretty confident that trick-or-treating was just like riding a bicycle. You can crash and die in a thousand different ways. I was way uncomfortable with the fact that I didn’t know most of my neighbors. I felt bad pushing an only child up to a stranger’s door by herself. I was terrified that I’d have to dress up to show some solidarity with the kid. I hated the idea of looking an adult right in the eye and saying, “Trick or treat!” in a cheery fashion to show her how it’s done. Worse, that we might have to make small talk. And this isn’t the story of a man surmounting his flaws as a human being to achieve hero status in the eyes of his child. It’s the story of a cheater. Actually, a couple of them. I’m throwing my wife under this bus, too. It’s the one from the movie Trick ’r Treat. Instead of going it on our own, we joined up with those aforementioned friends. They have four small Halloween night veterans, a ready-made trick-or-treat pack. That meant I could hang out on the sidewalk, while all the stuff I feared could be avoided or at least given the buffer of a front lawn. Your typical front lawn is the exact dimensions of my comfort zone. But my fears evaporated pretty fast. The whole night was a blast. I mean, we did have a bit of a rocky road with the costume. Originally, she wanted to be a dragon, but we procrastinated so long in picking it up for her that we couldn’t find/make her one. She then switched to vampire, but after putting on her own make-up and looking into the mirror, she terrified herself. My wife chose immortalizing the moment over triaging the fresh wounds. 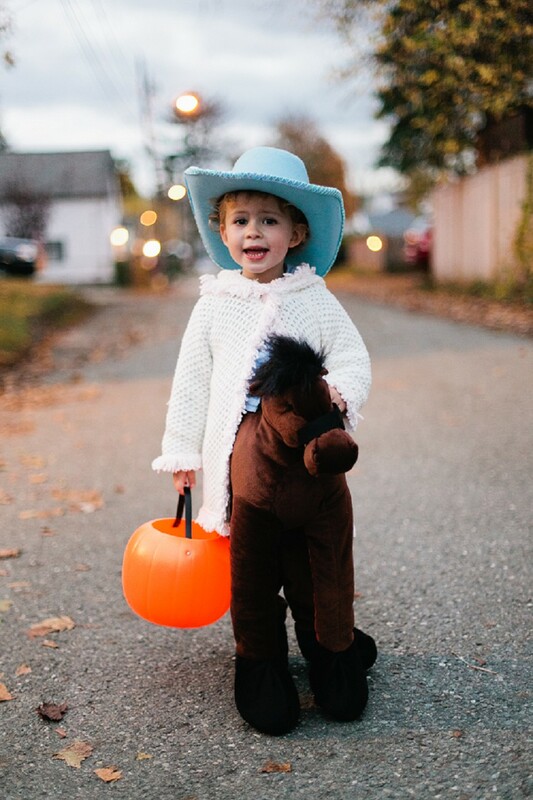 She finally settled on a cowgirl-riding-a-horse costume. Finally, it was time to go Halloween evangelizing. I lit the Jack-o’s, stuck a skeleton in the window, set up a big bowl of candy on a bar stool on my front porch as a peace offering to tiny demons, and we took off to meet up with our friends. 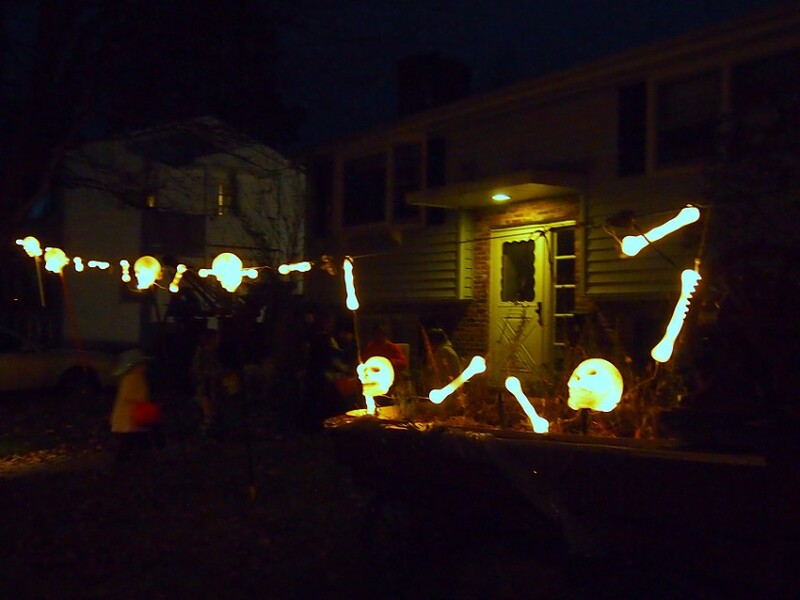 Halloween night in my neighborhood is absolutely alive. I mean, it was almost like a Disney Channel movie. Midget monsters roaming the streets, adults sitting out in folded chairs on porches handing out candy, the nice chill that New England gives us in late October. My kid did well enough for me to suspect she wasn’t mine. She was gregarious, asking people what the color of their house was, if they had a dog (standard break-the-ice questions for her at the time), and then she’d forget to get the candy from them in her excitement to meet the people in the next house. The highlight of the night for me was walking into a Hellraiser movie. 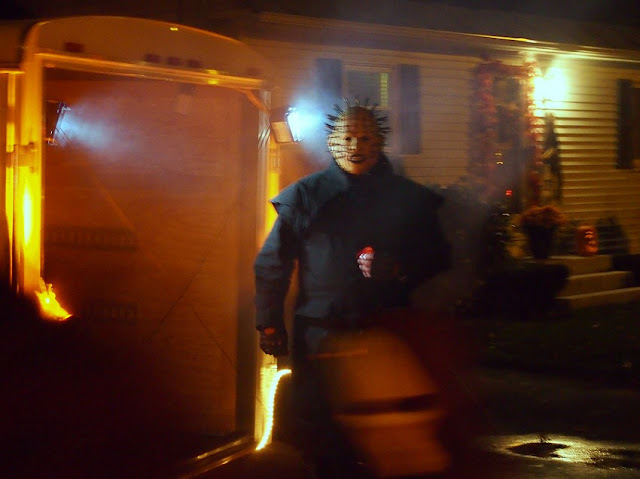 We approached a house with a small trailer parked in front, gloriously awash in fog and colored lights. In front of the trailer, an ominous spiky silhouette, was good old Pinhead himself, diabolically handing out candy to the souls brave enough to approach him. That is what Halloween night is about, kids testing their fears, facing the monsters in their closets, and being rewarded for doing so. At one point I took a shortcut back to the house to find the candy bowl empty and kicked across my porch. Fortunately, nobody chose the trick option of the night, as a result. I dutifully refilled it and headed back out into a night of the dead that was absolutely revivifying. Again, it was everything it should have been. I can’t wait to do it again. However, Halloween night is still not the point of my season. But it’s no longer just the denouement. 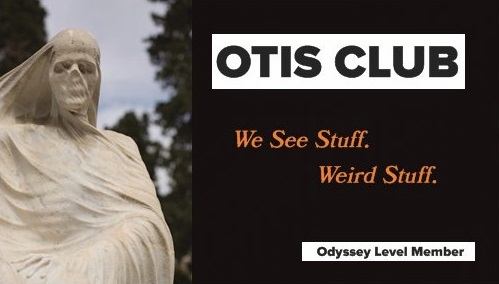 Now, for me, it’s a way to go out in style.